The 2018 conference will be a chance to explore how we can “pioneer” a new culture of aging. Whether you are just starting out on your culture change journey or have been actively engaged in this endeavor for some time, there will be something for you. 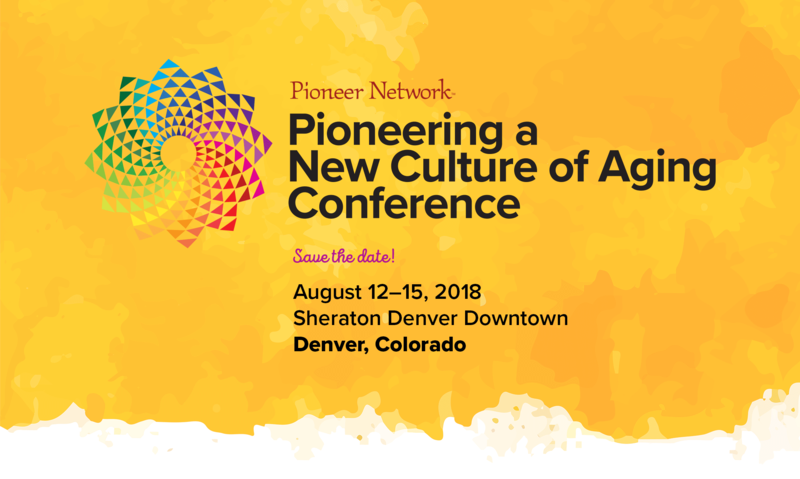 Be sure to mark your calendars for August 12-15, 2018, and plan to make the 2018 Pioneer Network Conference a stop on your culture change journey! 3:00 pm – 5:00 pm General Session: Are You Ready for the Future?